Referrals are one of the most important methods of reaching new patients. How can you get your community buzzing with positivity about your practice? Learn five tips for extending your reach to achieve new referrals in today’s blog. Set a goal. How many patient referrals are you receiving each month? How many would you like to receive? Set a goal and stick to it. This helps you give structure to your growth, and allows you to ensure that the methods you take are working. Did you set out for 10 referrals, but only achieved 8? Aim for 12 the next month. Bring in the team. No matter how much effort and heart you put into your dentistry, your patients’ dental experiences are shaped by your entire team. Now is your chance to get them involved. Ensure your team has trained on new protocols that can boost your referrals. Building strong communication — especially at the end of an appointment — can go a long way with impressing your patients. High-quality care speaks for itself. The best way to develop a 5-star reputation is simple: be a 5-star dental team. Focus on making each step of your patients’ experience comfortable, warm, and uplifting. Are you and your team masters of listening? Give your patients every opportunity to speak their mind on their goals, their needs, and to ask questions about their treatment. Simply ask! Don’t be shy about patient referrals. Many people love to share their stories when they find a new restaurant, a new store, or a new experience they enjoy. The same goes for dentistry. Let your patients know they are more than welcome to invite their family and friends to receive the same great care that they have. Let us help. Whether you are looking to host a fundraiser, contest, in-office event, or you are building a connection to your current patients through social media, email messaging, or more, Identity Dental Marketing can help. 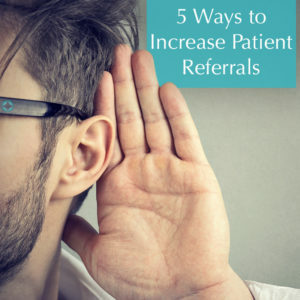 Growing your practice through new patient referrals takes a combination of empowered communication, excellent care, and strategy in your marketing. Are you looking for more ways to extend your reach? Schedule your complimentary marketing planning session with us today. Do you know the difference between fact or fiction when it comes to marketing your practice? Don’t be misled about the answers you deserve as a business owner. 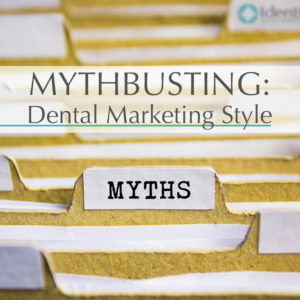 Follow along as we break down common myths and misconceptions about dental marketing in today’s blog. Myth 1: Dental marketing simply means having a great website. While a slick, fully-responsive, and modern website is the foundation of digital marketing for your practice, there is much more at stake. Branding, social media marketing, SEO, advertising, and several other innovative marketing strategies all come together to bring you exposure and connect you with your ideal, new patients. Myth 2: You should only engage in one marketing strategy at a time. This is not only false, but a dangerous assumption to make in regards to your practice’s success. Engaging in a single marketing strategy such as a direct mailer or a single ad will lead you to lose out on a massive portion of your audience. Instead, building a widespread marketing campaign allows you to utilize many methods that can work synergistically to push your practice ahead and set you apart. Myth 3: Search Engine Optimization (SEO) results are immediate. SEO is not an overnight process. Building backlinks, adapting to algorithm changes in search engines, and boosting your rankings requires building momentum over a monthly period, typically up to six months. While implementing SEO is a long-term investment, it’s often your best one to make. Myth 4: Patients think less of dentists who market their practice. False. In fact, ethical marketing strategies allow you to build trust, credibility, and brand awareness with the community you are hoping to serve. Myth 5: My website is future-proof. Unfortunately, no website is truly future-proof. Web design, development, and visual trends are always improving and moving forward every year. We recommend critically evaluating your website every three to five years to update functionality, features, or its core design. Myth 6: All dental marketing agencies are the same. Like with any industry, dental marketing agencies can differ wildly on quality, quantity, and effectiveness. Protect your practice from companies that over-promise or offer their services for next-to-nothing rates. There are no shortcuts to your success. You should aim for a marketing team that has both the expertise and the commitment to truly elevate your practice and help you reach your goals. We hope that you’ve found our guide on dental marketing myths interesting. Do you have any more burning questions that you’d like answered? Schedule your complimentary marketing planning session with Identity Dental Marketing today. Are you teetering on the edge between sustained, powerful growth, and another quiet month? Marketing your dental practice successfully requires an introspective look into the strategies and systems you are implementing on a daily basis, whether online, over the phone, or in-office. 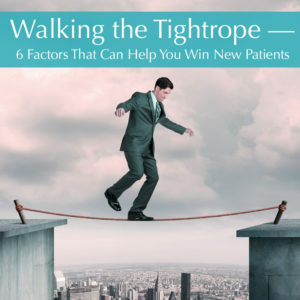 Learn 6 factors that can help you win new patients in our latest blog. Google Rankings — There is a drastic difference between appearing on page 1 versus page 2 of a Google search. If your practice is ranking in the top local listings for relevant keywords, you can find yourself with a surge of new patients each month. Are you worried that your Google rankings aren’t achieving the results your desire? We can help. Online Reviews — Your reputation is important to uphold as a dental care provider, especially online. Be cognizant of how patients are reviewing your practice, whether on Google, on Facebook, on Yelp, or elsewhere. While online reviews may seem easy to brush off as unimportant, they can be the deciding factor for people searching for a local dentist. Thank patients for sharing their positive experiences. For tips on how to respond to negative reviews, read our guide. Your Call to Action — Attracting patients is one challenge, while having them schedule a new visit is another. Is your call to action strong enough? Whether you are marketing to patients through your website, social media, an ad campaign, or each of these, you should ensure there is a direct path for them to schedule appointments with you. This concept extends to your front office team as well. Give your team members the proper training to turn any new phone call to your practice into a new patient appointment. New Patient Specials — Practices grow or falter based on the benefits, value, and services they can provide their community. Is your practice engaged in a new patient special? By discounting a service such as exams and cleanings, Invisalign® treatment, or providing a free consultation, you can make it easy for your patients to choose you. Team Training & Communication — First impressions are everything. Is your team achieving the level of care and communication that you need to establish an excellent experience for your new patients? Take the time to train and elevate each part of your team to ensure they match the compassionate care you seek to deliver. Availability — Being flexible and available for your new patients is important. Make sure that no call goes unanswered. Have you considered changing your office hours? Offering convenient scheduling can go a long way with attracting new patients. Are your marketing strategies building you a consistent source for attracting your ideal, new patients? Let us help. Schedule your complimentary marketing planning session with our team today. Did you know that educating your potential patients can build their trust, giving them reason to travel longer distances and accept the treatment they need? 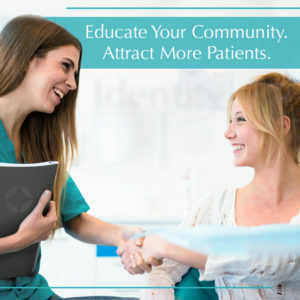 By establishing credibility with your community through education-based marketing, you can ensure that you have their goals, interests, and oral health in mind. Learn how utilize education in your marketing to attract more patients in our quick guide. As a dentist, you’ve gained valuable insight and understanding of the technology, procedures, and techniques you use on a daily basis. However, most people are in the dark on the details of dentistry and oral health. By utilizing educational marketing strategies to teach your patients about your services and the value they provide, you build credibility with them and give them a reason to choose you. 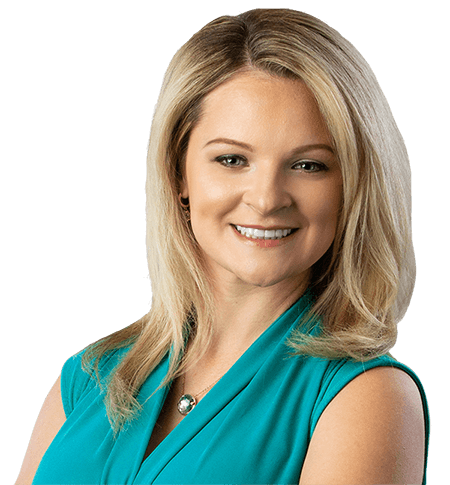 This can even lead to a boost in conversions from neighboring towns, as well as your team finding case acceptance much easier moving forward. How can I educate my prospective patients? Utilize a funnel campaign — By implementing a funnel campaign that is focused on a particular service like dental implants or Invisalign®, you can continuously build value for your dentistry through consistent exposure to your educational social media ads, landing pages, and email marketing. Patients will have several chances to learn about your methods, and how you can help them achieve oral health and confidence. Get social! — Over two-and-a-half billion people use social media, making it critical for success in any marketing initiative. As a dentist, social media is an engaging and personal way to help you connect with your community directly. Try offering important advice on their oral health, giving them fun facts, and sharing recent research and developments in dentistry. Truly focus on your patients — You might know that periodontal disease affects almost half of the US, and that it can lead to increased risk for diabetes, heart disease, and many other complications — but does your community? Whether you are are taking to social media, sending an email newsletter, or starting an ad campaign, maintaining your focus on your community’s health, comfort, and education will show your authenticity and help you improve your reach. Teaching your patients is a critical part of the process in growing your practice and improving your patient retention. If you are curious about how you can bring education-based marketing to your practice, Identity Dental Marketing can help. Schedule your complimentary marketing planning session with us today. You’ve just started your own dental practice. Your team is trained, your phones are ready, and you’re ready to start your career off right. One question remains: how do you reach and retain the ideal, new patients you hope to serve? 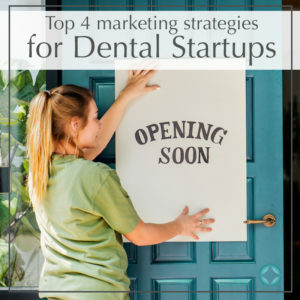 In this article you will learn the top 4 marketing strategies for dental startups. Set yourself apart through branding — Are you sending the right message to your patients? Branding plays a role in every marketing strategy you will utilize, so finding the right themes to move forward with is imperative to your success. A strong brand, name, logo, and design will set you apart and allow patients to identify your practice and your team as being the best choice for their health, comfort, and their results. Take to social media — Use the weeks in advance of your practice’s opening to build interest and exposure. Facebook has a variety of ways you can connect and communicate with your community, including live video to introduce yourself, creating an event to showcase your grand opening event, or much more. If you aren’t sure where to start, we can help. Build a beautiful website — You need a centralized place for your patients to find you, read about your strengths, your commitment, and the services you offer — but most importantly, to schedule an appointment. As a new practice owner, you should aim for a fully-responsive website that is both visually impressive and easy to navigate across mobile, tablet, and desktop. Send an introduction letter — Have you considered a more direct way of reaching your patients? Engaging your community members through an introduction letter can be a personable and impactful way of building their trust. In addition, if you are taking over a practice and re-branding, writing to your patients can help establish their expectations, allowing them to understand what makes you the best choice as their dental partner. This allows you to set the story straight on how your new practice will operate moving forward. Whether you are purchasing a dental practice and re-branding, or building an entirely new practice from scratch, you have a unique chance to define your future success through strength in marketing. At Identity Dental Marketing, we will listen to your practice goals and help you achieve them with a marketing plan customized for your consistent growth. Schedule a complimentary marketing planning session with us today. Has a negative online review lowered your team’s morale? Don’t give up. For every 99 positive, rewarding experiences you make with others, there is usually one encounter that is unavoidably difficult. Here you will learn how to respond to a negative review with poise while showing you value the opinions of your patients. Read the entire review — twice. Don’t skim. Take note of each pain point. Each of these are a chance for growth, so make sure you follow-up in your practice strategies to ensure these situations can be prevented in the future. Respond early. 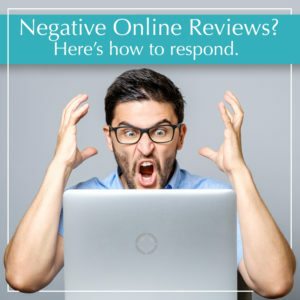 Make sure you respond to any negative review as soon as possible. These aren’t the kinds of things you want left unanswered on your public review listings, so aim to check through on a weekly basis, or delegate a team member to help with this. As an aside, you should be thanking patients for positive reviews, too! Apologize. Even if you may disagree with things that your patient has said, you should apologize for their negative experience. Ensure you don’t offer the “sorry, not sorry”-type of response that is only nominally apologetic. A true apology is the only thing that can help you rebuild patient relationships that have become strained. Empathize. As a dentist, empathy is likely innate to your entire experience of serving patients, and the same should extend to your response. Understand how, from their perspective, the experience could have been frustrating, confusing, or hurtful. Show you truly care. Make it right. Was the review left because of a payment error, or complications from treatment? Now is your chance to reach out to your patient and fix the problem. If you react quickly, and humbly, you may be able to restore the trust you have with this patient. In some cases, they might even amend or update their online review as well. We hope this advice helps you elevate the level of care and trust you provide your patients, both in the office and online. If you are interested in learning about ethical marketing strategies to boost your positive reviews and increase your online exposure, reach out to us. Schedule your complimentary marketing planning session with our team today. 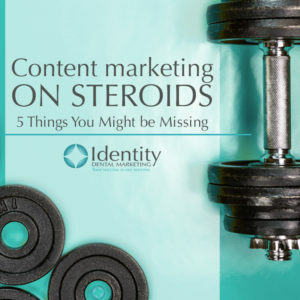 Is your content marketing building momentum and exposure for your practice, or does it need a trip to the gym? Each blog or social media post you create should be done so with three main priorities in mind: brand awareness, building your SEO and exposure, and creating credibility through patient education. If your content marketing could use a boost, here are 5 strategies you might be missing. Go wide. Consider this example: Your practice just finished a fundraiser in your community, and it was an incredible experience. How do you share news about this — a blog, a social media post, an email newsletter, a video on YouTube, or a press release? The answer is all of them. By reimagining your content across multiple channels, you can maximize the exposure you receive. Be bold. Content marketing is a time-tested, widespread process. However, with so many other practices, companies, businesses, and brands publishing content as part of a marketing strategy, how can you stand out? Being bold in your messaging allows you to cut through the clutter and harbor genuine interest. A recent study showed that 59% of all links shared on social media aren’t actually clicked on before doing so. That’s the power of the perfect headline. Don’t just publish, promote! Once a blog, social media post, video, ebook, or press release is published, many forget that there is a crucial step remaining: promoting it. Facebook ads and boosting are a great place to start. This way, you can combine your organic presence with a paid one for a massive influx of viewership. Ask us about other strategies for paid promotion. Retarget. Setting up retargeting through Google or with a Facebook Pixel will allow you to show curated ads to those who show interest in your content. When somebody clicks on your blog, they will then have your marketing and advertising displayed to them across Facebook or Google in the future, improving your brand awareness. Retargeting is a powerful way to home in on your potential patients, boosting your ROI through an increase in your advertising conversion rate. Evaluate your results. Don’t go into your marketing blind. Take the time to analyze your results on at least a monthly basis. Which blog was number one in viewership? Which of your posts received the most attention? Which videos were a hit? Adjust your strategies and focus your future marketing with those answers in mind. Implementing content marketing is a surefire way to boost your exposure, credibility, and brand awareness for your dental practice. But what if your team lacks the time or experience to do so? Let us help. Schedule your complimentary marketing planning session with Identity Dental Marketing today. Everybody loves a great story, and everybody loves a great storyteller. The same concept holds true in dental marketing. By creating a narrative in your messaging, you can engage your potential patients much easier than with standalone ads. In this guide, you will learn about sequential advertising and how you can implement it to benefit your practice growth. Have you ever driven down a highway and seen a series of billboards that grabbed your attention with a piece-by-piece message? Sequential advertising is just like that, but in digital form. As your potential patients see your ads across desktop, mobile, or tablet-view, they will follow the story that you want them to see. Your ads will appear to them in a strategic order, allowing you to craft a consistent, interesting, and effective message that brings your patients closer to scheduling their first appointment. Develop brand familiarity — Sequential advertising will allow you to reach your community in a more unique, authentic fashion, helping them remember the benefits of choosing you. Combat ad fatigue — By themselves, ads can grow bland. 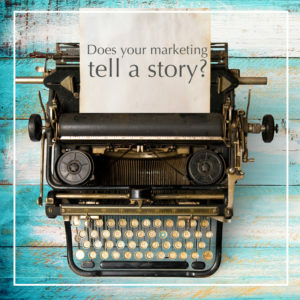 Building a narrative into your advertising campaign allows you to ensure your content is interesting and engaging, which helps improve conversion rate and ROI. Build credibility — When you tailor your advertising to the actual community you serve, you can build trust in your dentistry through relevancy in your messaging. Utilize video for even more exposure — Video marketing is a powerful way to draw in many people who would otherwise scroll past or ignore your content. Whether you specialize in pediatric dentistry or are focused on larger cases like dental implants, your practice goals are unique. We will listen to your needs and help you design, craft, and leverage a sequential advertising campaign that truly speaks to your patients while bringing you an impressive return on investment. Schedule your complimentary marketing planning session with Identity Dental Marketing today. Any successful small business owner wears many hats. At times, leadership can be exciting and rewarding. At other times, it can cause exhaustion. The stress brought on by rapid business growth can cause anxiety that can seep into the atmosphere and rust the well-oiled machine you’ve worked so hard to build. 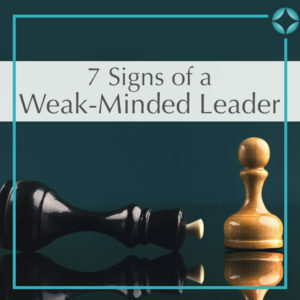 If you notice yourself committing any of the following characteristics of the weak-minded leader, it may be time for a period of reflection and recharge, allowing you to perform with your best foot forward. 1. Weak minded leaders seek revenge. When an employee quits, you may find yourself wanting to withhold a letter of recommendation. You may feel a slight urge to show a lack of support for their next endeavor, after all, you may have invested years of your time training this person. Strong leaders are confident in their business. They see setbacks as opportunities. In this example, a strong leader will view this as an opportunity to find someone who’s a better fit. 2. Weak leaders internalize critical feedback. It’s bound to happen at some point. Some business “guru” will offer you their unsolicited advice. Of course, you listen to it. Find how it may benefit you. At times however, it’s best to put it aside and keep moving forward. Strong leaders are confident in their decisions, open to criticism and do not fear disagreement. Strong leaders do not take critical feedback personally. They also do not allow it to slow them down. 3. Weak leaders avoid confrontation. A patient or employee has displayed disrespect or appears to be attempting to manipulate you. Instead of avoiding the issue, you attempt to side step, change the subject or perhaps even turn to humor to lighten the mood. Strong leaders do not fear confrontation. They realize respectful, open and honest communication will get both parties on the same page quickly. It will build trust and can restore a strained relationship. If open and honest communication does not restore the relationship, it may be a relationship worth ending–immediately. 4. Weak leaders seek validation for unqualified people. Whether you’re changing your business, structure, investments, marketing plan or even your hours, it’s important to have a trusted advisor. Make sure your trusted advisors do not include your fraternity brothers / sorority sisters from college whom you see twice a year at a reunion. Yes, these people care about you, however if they are not trained in this area, and very familiar with your practice and goals, do not solicit their advice. I can’t even begin to explain how many amazing dental brands have been destroyed by the feedback of loving mothers, who think they know best. Strong leaders consider the source, always. 5. Weak leaders avoid change and risk. These are the 2 things necessary for growth. Weak leaders wait until “everyone else is doing it” or “everyone else has it” or “everyone else is going” before they take any kind of risk. Strong leaders listen to their gut, make quick but deliberate decisions. Strong leaders evaluate risk but are not afraid to jump at the right time. 6. Weak leaders seek the “cheapest” solutions. The business owners always looking for the cheapest phones, software, CE, marketing, accounting, etc. are almost always slow growing. These types learn lessons the hard way – by their own experiences. Strong leaders learn from the mistakes of others, are not afraid to invest for the right fit solution. Strong leaders know their worth and are confident in their abilities to produce and perform at a level that will accommodate their budget. They are smart about investing, do not over commit and evaluate their return on investment. Money, however, is not their only determining factor. 7. Weak leaders talk poorly about others. People who talk poorly of others lack confidence in themselves. They fear someone will take their accomplishments from them. They fear people are against them. Strong leaders look to build others up. If they see something they don’t agree with, they may shed light on an issue without mentioning an offender. Strong leaders aim to educate and influence in a positive manner. Success is a result of small efforts, repeated regularly over time. Let our team take the heavy load of marketing off your shoulders. Schedule your complimentary marketing planning session with Identity Dental Marketing today. Designing the best possible logo for your practice isn’t just about being innovative or unique. Did you know that the colors you choose can convey vastly different emotions for your patients? Research from the Institute of Color Research has shown that within the first 90 seconds of viewing a website, branding, or product, your audience will have already formed an opinion — 62% to 90% of which is based on color alone. Learn which colors to use, and when, in our latest blog. Red — the color of excitement, movement, and strong emotion. While red can evoke feelings of compassion, it can also remind patients of blood. As a dentist, you should try to limit or eliminate the use of red in your logo and branding. When you think of orange, what comes to mind? Orange is an energetic color that can evoke feelings of optimism, enthusiasm, or confidence. However, it can also feel like a caution sign for some patients. Orange is a bright, exciting color, but be careful with how you present it — otherwise, it can bring strain or fatigue to those viewing your branding or website. In a similar vein to orange, yellow can trigger warm, yet cautionary feelings. Yellow is often seen as a cheerful or happy color, and combined with the right complementary color to offset its bright nature, it can work well for your practice’s unique branding. However, be careful about which shade or hue of yellow you use, avoiding gold when possible. In dentistry, gold can remind patients of gold teeth, which can date your practice’s aesthetics and techniques. Commonly thought of as the color of nature or health, green tends to be a calming color. Green is also an easy color for eyes to process, and can evoke peaceful, trusting feelings from your logo and branding. Blue is an incredibly diverse color. Light blues can promise comfort and trust, while darker blues can bring about feelings of stability and confidence. Picking the right shade of blue can sometimes be more difficult than picking the right color in the first place. A color evoking wisdom and success, purple can add a creative touch to your logo and branding. However, make sure your shade of purple isn’t too deep, or it can overwhelm the rest of your color scheme. Try adding in yellow or orange to balance its richness out. Utilizing black in your branding is tricky, but very pleasing if done properly. It can add boldness or a sense of stability to your practice branding and logo — just make sure not to overdo it. The color of practicality, grey works well when paired with a less muted color such as blue. In addition, its variant of silver can evoke a sense of high-quality care. However, using too much grey can make your practice’s branding feel dated. While uninteresting on its own, white is always a safe, effective pick to pair with other colors for your logo. It works with nearly every color, similar to black or grey. 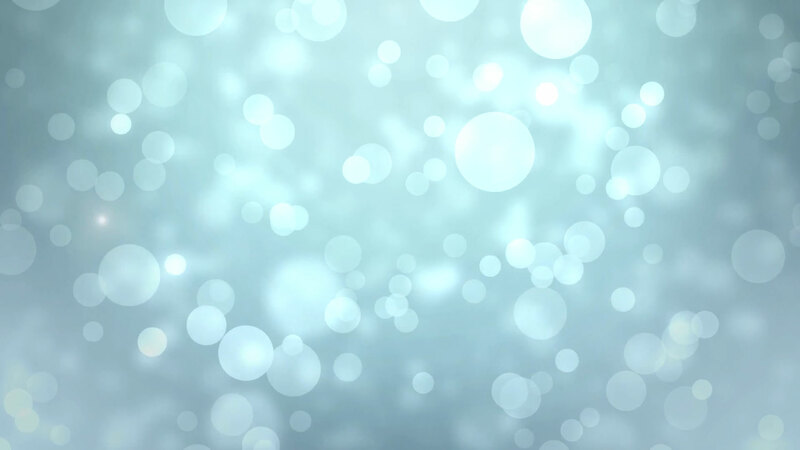 Utilizing white can help patients envision a clean slate, but can also evoke feelings of clinicality. 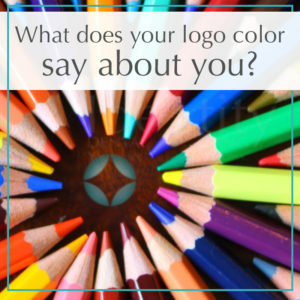 Picking the right colors, logo, and focus for your practice’s unique branding is a complex task that requires introspection, cleverness, and a keen eye. However, once you’ve found the right colors, you’ll know it. Let our team help you define your practice branding. Schedule your complimentary marketing planning session with Identity Dental Marketing today.